On the early of December, 2017, I got my annual vocation. 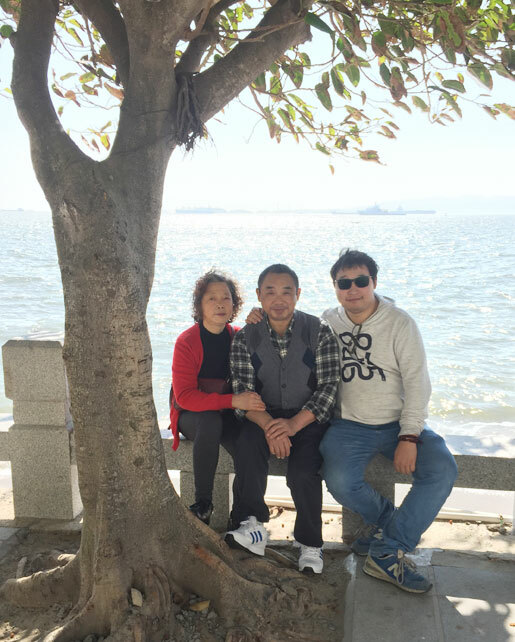 It is a little cold in my city Chengdu which is an inland city (we have no chance to see the sea and beach in our daily life), so my parents and I plan to do a tour in a city that will be a little warmer and has the beach with a beautiful sea views. 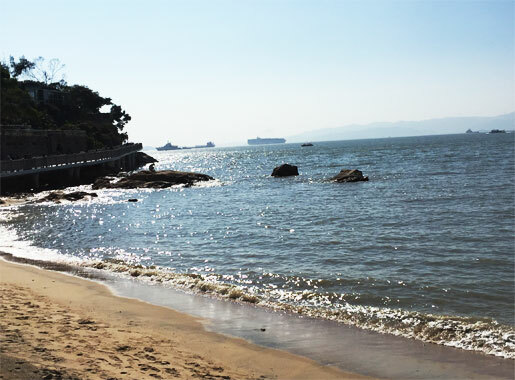 That’s why, we choose Xiamen, the beautiful Island! As Xiamen is really far away from Chengdu (about 2000km), so the most efficient way by now is to take the flight. A 2.5 hours flight takes us directly from Chengdu to Xiamen. When we arrived in Xiamen, it already got dark. So, we just take a taxi directly to our hotel. 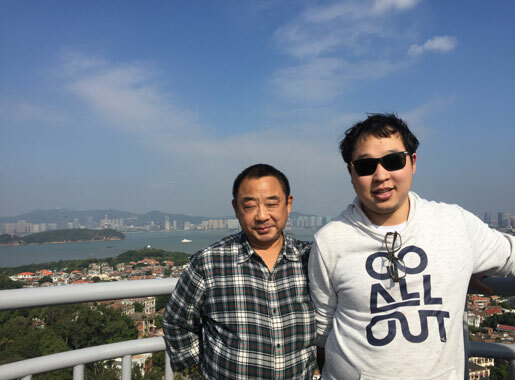 Our taxi driver is a local citizen, and he is very enthusiasm to introduce his hometown to us, we got a lot useful information from him, such as the best sight to buy some local goods is the Xiamen 8th Market which is also highly recommended by many locals. After about 40 minutes’ drive, we finally arrive in our hotel. If you are looking for a nice, comfortable and affordable hotel, I really recommend our hotel: Tagoo Hotel. 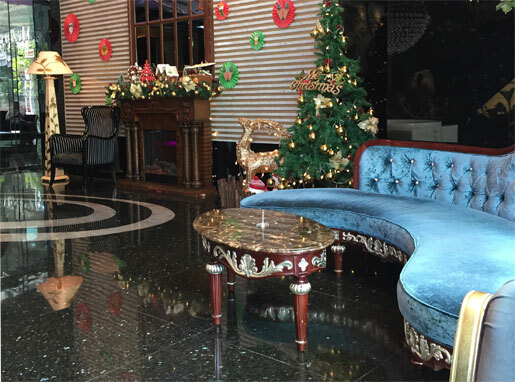 The hotel is not only well located but also has the fantastic service. When we are checking in, we are told that if we need an extra bed in the deluxe room that will be charged extra money, so the hotel manager suggest us to update the room to a family room with the same price. As our original room is with ocean view, but the next one doesn’t have, so we have a little hesitation to make that switch. We asked if we could see the rooms first, and the hotel manager said no problem and show us around the 2 rooms and explained patiently about the difference of the rooms by herself. With her great help, we finally choose the family room which is bigger in size and more suitable for a family of 3. Also, the hotel receipt counters, concierges, security guards are really polite and helpful and willing to help us to find the best way to our goals.Like I said, our hotel is well located. 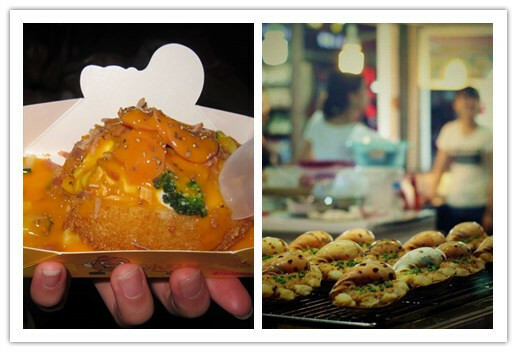 After leaving our luggage, we take a few minutes’ walk to the Zhongshan Pedestrian Street to enjoy the night market. We found many local delicious snack and many special local goods. As we don’t have dinner yet, so we have a meal in a local restaurant which is recommended on the internet. But we felt a little disappointed about the sea food of Xiamen, its types are limited and we felt the price is not worthy. Because, we heard that there are only shallow sea around Xiamen Island which is not suitable to fish and raise the sea food, so many of the sea food in Xiamen is imported in Zhangzhou or other near cities. But that will not be a big problem because we still enjoyed the local snacks such as spicy fried shell flesh, local fruit salad…etc. As we want to take our holiday slow and easy, we get up a little late and have breakfast in local restaurant to enjoy the special spicy dumpling. Then, we take a 20-minutes’ bus trip to the Baicheng Beach which is the nearest beach to our hotel. 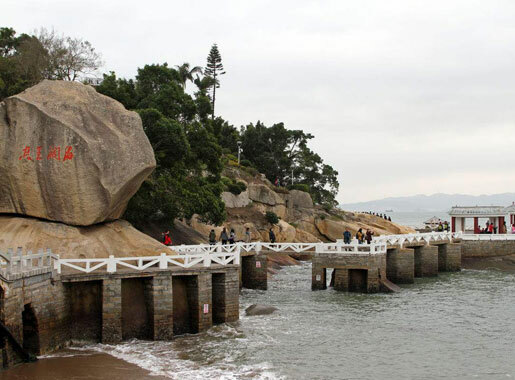 Baicheng Beach is close to Xiamen University and has a long coast for many travelers. As time is about in the middle of the morning, so the sunlight is not so hot but just comfortable warmth. We walk along the beach, and enjoy the sun bath that makes us just feel like in the spring. The Hulishan Fortress is just close to the restaurant. 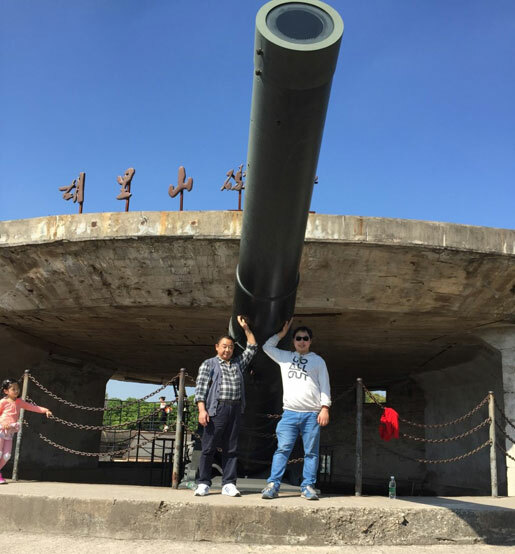 It’s built to against the Japanese in about 1900 in Qing Dynasty. The fortress has still reserved many ancient types of artillery. The biggest cannon in the fortress is made in German named Krupp and its effective range is up to 16000 meters which cost the government a very large sum of money. The Krupp Cannon is regarded as the world existing biggest coast cannon in 19th century according to the Guinness world record. Isn’t it an amaze in the ancient time? Then, we head to South Putuo Temple which first built in Tang Dynasty. It is renowned for its collection of Buddhist cultural relics, such as a Burmese jade carving of the Buddha, some important Buddhist texts. As it’s not allowed to take pictures in the temples, so please forgive me not to take a single picture of the well carved statues. 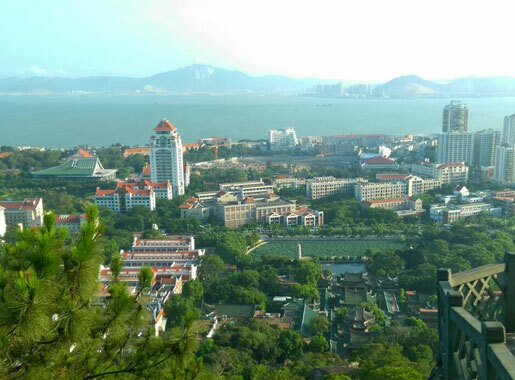 Standing at the top of the Wulao Peak in , you can enjoy the bird’s eye view of Xiamen University and Xiamen Port. 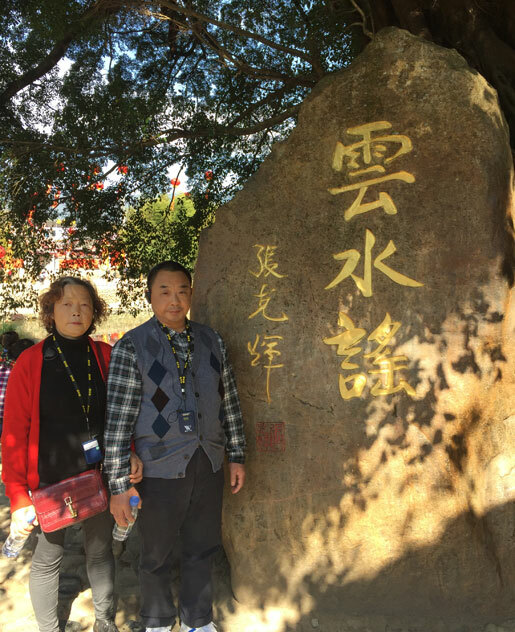 Leaving the temple, we take a few minutes’ walk to the Xiamen University, which is regarded as one of the most beautiful university in China. 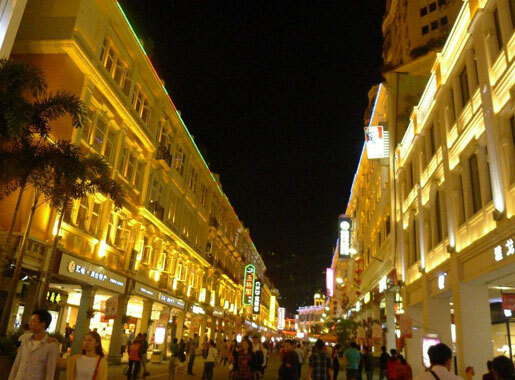 Leaving the colleague, we come back to Zhongshan Pedestrian Street for dinner and go back to the hotel to pick our luggage to go to cruise port for the night cruise to Gulangyu Island. After about ten minutes’ walk, we get to the port. You could see the beautiful night view of the Island. As we thought it will be easier for us to stay one night on the Island and do the tour next day. But my friend, as my experience, if you booked the hotel on Lujiang Road, I think it’s no need to book a hotel on the island because there are so many cruise ships between the two islands (almost every 10 minutes). It only takes 5 minutes cruise to get to the Gulangyu. 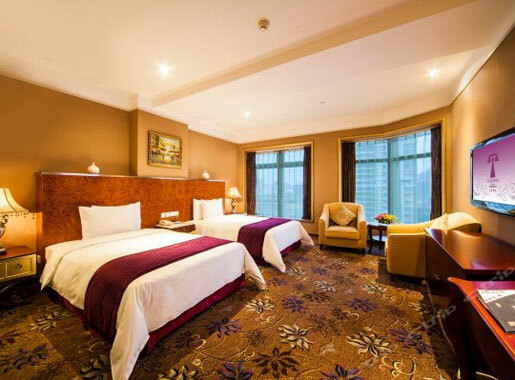 And also the accommodation is a little expensive on the Island but the conditions of the hotel are not as good as the hotel in Xiamen. In the morning, we get up and go to the first stop: Bagua Pagoda. It used to be a villa but now it turns to be an organ museum. 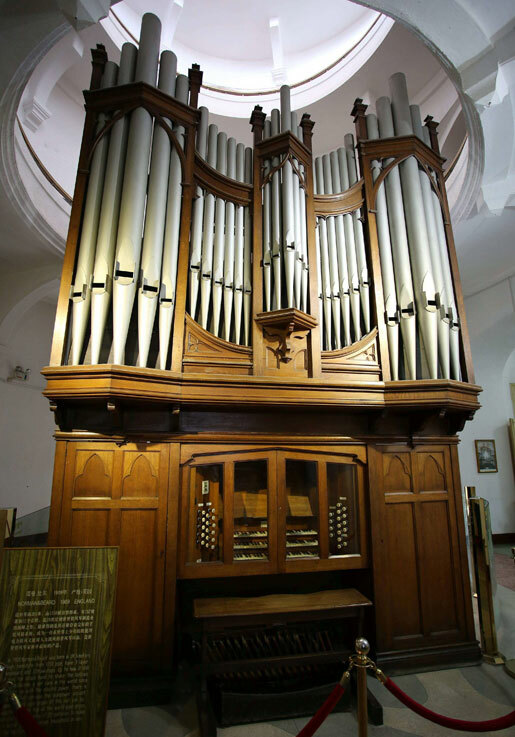 It has various types of the organs in the 18th and 19th century. After visit the museum, we continue our tour to the Sunlight Rock. Apparently, it is a good place to bath the sunlight but it’s also the highest point of Gulangyu where you could have a bird’s view of the whole island. It will take you some effort to climb the stairs to get there. But once you arrived on the tip, with the fabulous scenery, it will be worthy. 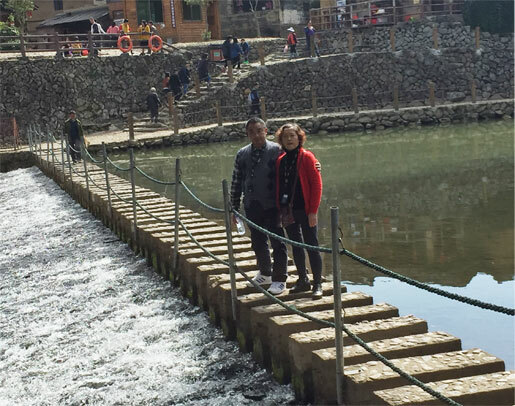 Get down the rock, walk along the beach for a while, we reached the Shuzhuang Garden. It’s a seaside garden consisted of the 44 Bridges, 18 Caves and the famous Piano Museum. Come into the garden, you will first see the 18 Caves which are made by the strange sea stone and shells. The 44 Bridges are near to the caves which are built to be a walking corridor on the seaside. 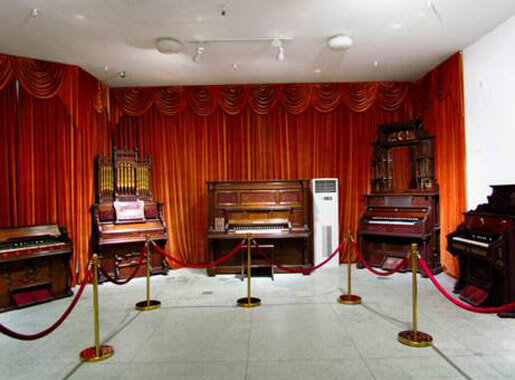 Walk along the bridges, you will finally see the Piano Museum. 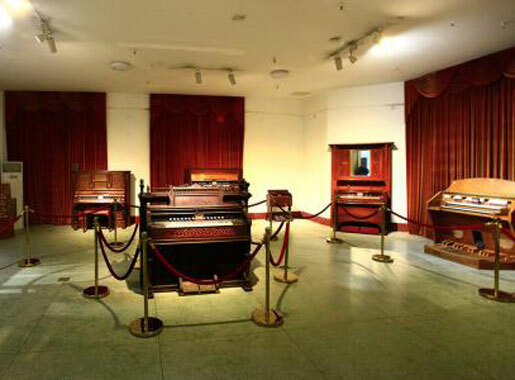 The museum has collected many types of old piano from all over the world, some of them even was made and reserved before World WarⅡ. Leaving the garden, we continue to walk along the beach to the other side of the island to see the HaoYue Garden which has a statue of Zheng Cheng Gong (a legendary general to resume Taiwan). After that, we go to the aquarium to see the various marine lives. The highlight will be the shark exhibition hall. The aquarium has about 20 sharks with different type. You could have chance to get close to the big shark. 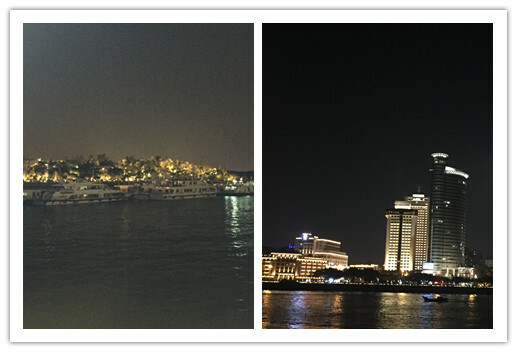 After this sight, we go back to our hotel in Xiamen. 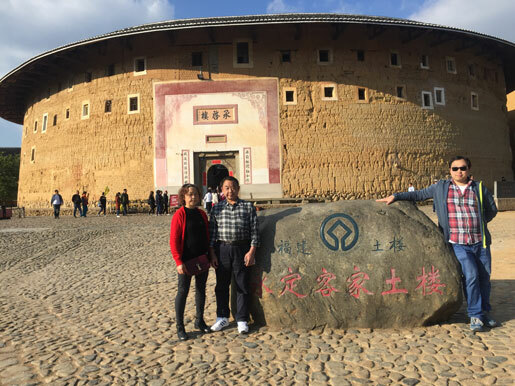 As Tulou is a little far away from Xianmen (about 100km) and there is no direct public transportation, so we choose to join in a one day group tour. We started our tour at around 7:15am, and the bus tour takes about 2.5 hours from our hotel to Nanjing. 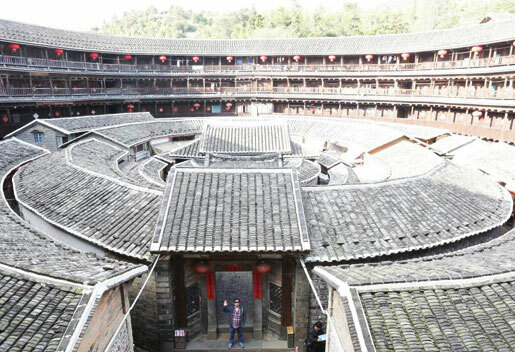 To protect the Ancient buildings, every traveler can go upstairs of the Tulou, but to make us feel better, we are taken to another new building first to climb up the tulou to feel local life like in tulou. The most impressive tulou for me is the Chengqilou. 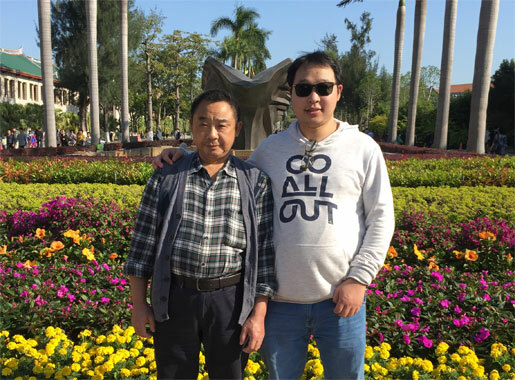 We have learned that the biggest Chengqinglou owned by only one family (a huge family). Their ancestors come from far away to get there to avoid wars. As they are the same family in a totally different place to against the wild animals, robbers in the ancient time, they build the house together. As the buildings have passed from generations to generations, the people of the family become more and more, so the rooms are in a shortage. They have to figure out a way to build a huge house that they can all live together, so the biggest Chengqilou comes out. 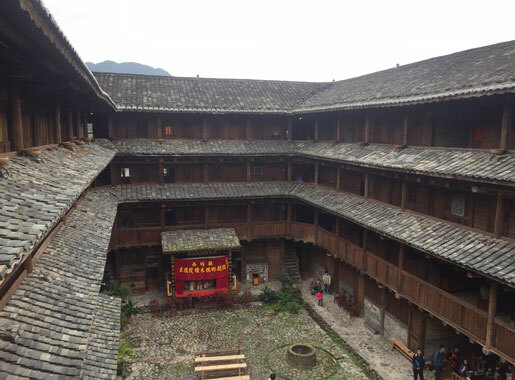 We end our tour in the beautiful Yunshuiyao Ancient Village which is named by the same name famous movie. 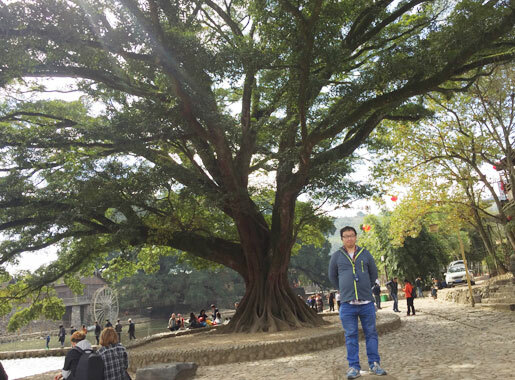 A Big Banyan Tree in Yunshuiyao. 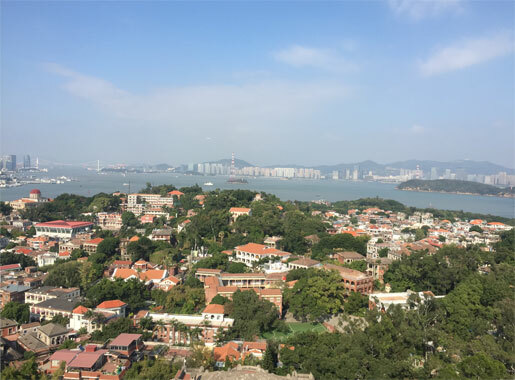 If you are interested in more Xiamen Tours including Gulangyu Island, South Putuo Temple, Hulishan Fortress, Earth Buildings of Yongding Tulou and Nanjing Tulou, you can head to our Xiamen Tours with different experiences. 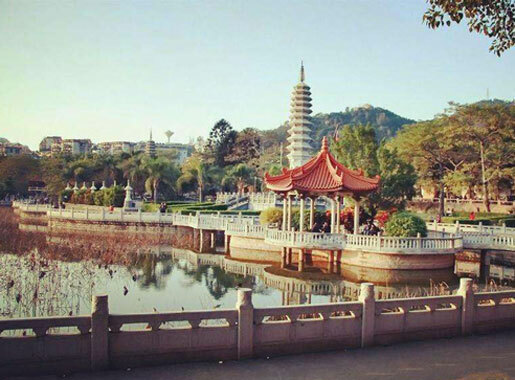 Feel free to select yours to explore the beauty of Xiamen! Want to know more about the experienced travel expert Johnson’s trip? You could just contact him directly. 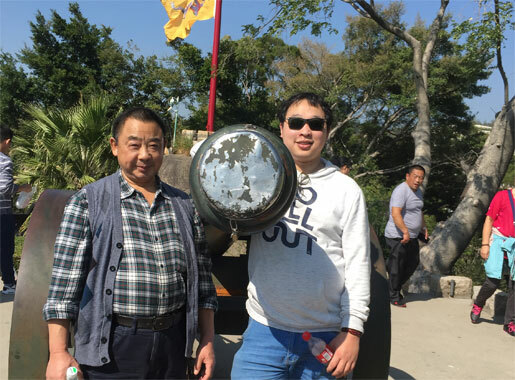 This entry was posted in China Attractions, china tour, travel guide, Xiamen Tour and tagged Family Tour, Travel Experience, Tulou Tour by Travel Expert. Bookmark the permalink.